Although today's digital cameras are pretty reliable pieces of hardware, they do fail from time to time. Sometimes, they fail because of manufacturer error. More often, they fail because of user error and a lack of digital camera maintenance. Use these digital camera maintenance tips to keep your camera in the best possible working condition. Avoid dirt and sand. Use care when cleaning dirt particles and sand from your digital camera. Do not use canned or pressurized air to clean the sand, as you might just drive the particles into the camera case. Budget priced camera cases might not be sealed perfectly, making it easier for grit and sand to penetrate the case and cause damage. Gently blow out the grit and sand to avoid this problem. Use care when shooting photos on a windy day at the beach, too, where sand can blow with excessive force. Avoid opening the battery compartment on such days. Avoid liquids. Try to keep all liquids away from the camera, unless you have a model with a waterproof case. Cameras are like any piece of electronics, and they can be damaged by excessive water. Avoid touching the lens and LCD. Oils from your skin can smudge the lens and LCD, eventually causing permanent damage. Clean the lens and LCD with a microfiber cloth as soon as possible anytime you see a smudge from your fingertips. The lens and sun don't mix. Do not point your camera's lens directly at the sun for any length of time, especially with a DSLR camera. Sunlight focused through the lens of the camera could damage the image sensor or even start a fire inside the camera. Use cleaning liquids with care. Avoid using an excessive amount of cleaning liquid with your camera. In fact, other than stubborn smudges, you should be able to clean the camera with a dry microfiber cloth. If a liquid is needed, place a few drops of the liquid on the cloth, rather than directly on the camera. Water can be used in place of cleaning liquid as well. Vacuum the bag. Dirt and sand inside your camera bag could damage your camera, so be sure to vacuum the bag regularly to keep it clean and protect your camera. Watch the temperature. Although some cameras are designed to survive harsh temperatures, most cameras are not. Do not leave your camera in a sunny vehicle, where temperatures quickly can exceed 100 degrees Fahrenheit. 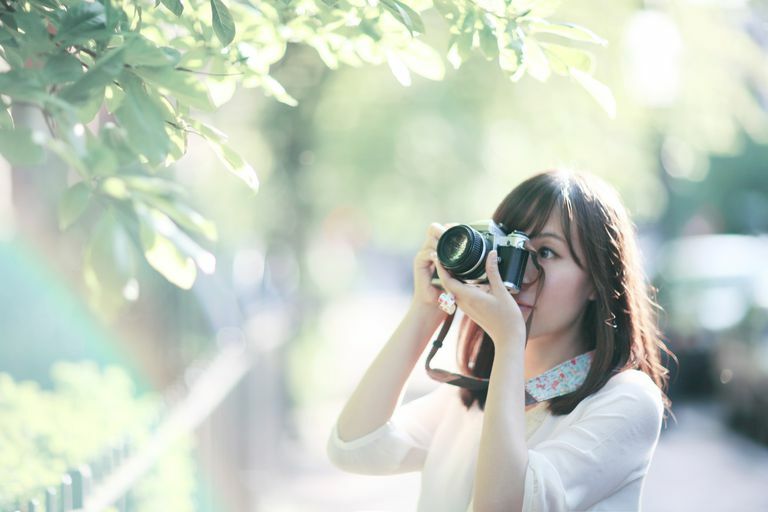 Avoid leaving the camera in direct sunlight, which can damage the plastic. Finally, avoid extreme cold, too, which could damage the LCD. Store camera properly. If you're not going to use your camera for a couple of months, you'll want to store it in a low humidity area and out of direct sunlight. Additionally, try storing the camera without the battery inserted, as this will reduce the possibility of suffering corrosion. Digital camera maintenance doesn't have to be difficult. These simple tips show that keeping your digital camera clean can be fairly easy and can help you keep the camera in working condition as long as possible.